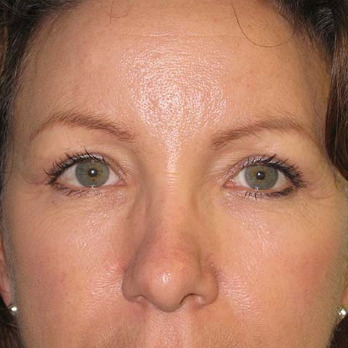 Blepharoplasty is a cosmetic surgical procedure that corrects premature ageing of the eyelids. Eyes are often considered the most endeering feature of a person's face. Aside from being able to convey a range of emotions, they can portray a natural beauty (which with make-up can be enhanced even further). However this beauty can be affected through age as the appearance of excess skin causes 'hoods' over the upper lids and folds in the lower lids. An excess build-up of fat can also cause 'bags' and puffiness around the eyes. During a person's there is a degree of stretching of the eyelid skin, which unlike other areas of the body, is especially thin. Over time, fine lines and creases develop due to the activity of facial muscles in smiling and squinting. As a result the skin begins to loose its elasticity. Exposure to sunlight and smoking will also contribute to skin damage. Furthermore, some people have an inherited tendency for their skin to age more quickly than others (which is often seen around the eyes first) and develop excess fat deposits, which with age become more obvious with the loosening of the soft tissue around the eyes. 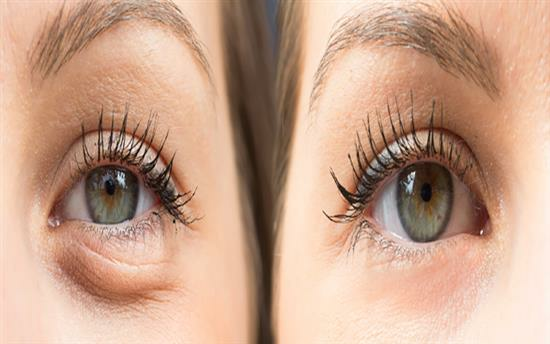 It is important to realise that with eyelid surgery, fine creases will not be eradicated. To try and do so would produce an over-correction, or a staring appearance and potentially change the shape of the eye itself. Thicker creases around the eyes, often called 'Crow’s Feet', cannot be eradicated either. A patient will often elect to have eyelid surgery performed as part of a brow lift or facelift to enhance a full rejuvenation effect, as these procedures complement each other. 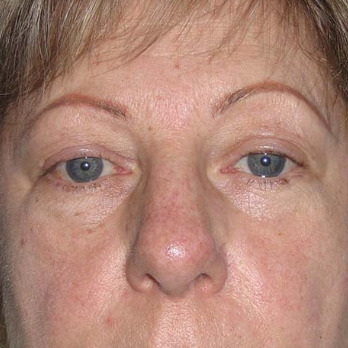 You can read more about Blepharoplasty and the recovery period involved in the section below, including a video of one Mr Chana's patients undergoing upper and lower Blepharoplasty as part of a facelift. If you are considering Blepharoplasty, you will need to book a consultation with Mr Chana to discuss your reasons and to review your current condition. You will be asked about your general medical history and any specific issues you may have that relate to your eyes. Mr Chana will discuss the features of your eyes which can be corrected through surgery, as well as those which will remain unchanged. Slight differences in facial symmetry such as the height of the eyebrow, lid fold or the eyelid itself may be pointed out, especially as they are often unnoticed by the patient. Mr Chana will explain in detail the surgery proceedure, making you aware of any potential scaring. He will talk you through the recovery period and the likely post-operative results. 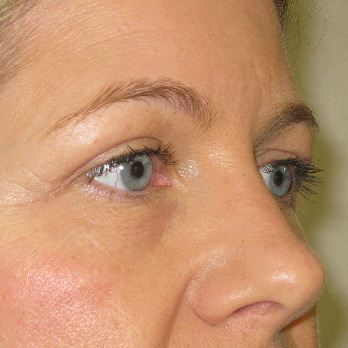 Blepharoplasty can be carried out under general or local anaesthetic and is usually a day case procedure. The procedure for an upper eyelid operation is different to lower eyelid surgery. The incision for the upper eyelid is in the natural crease line of a patient's eye, approximately 1cm above the eyelashes and extending out into the ‘Crow’s Foot’ area on the sides. Excess skin forming the hood is trimmed away, any excess fat removed (usually present in the area adjacent to the sides of the nose) and the eyelid is sutured using one continuous stitch. The incision for the lower eye is just below the eyelashes, extending out into a patient's natural ‘laughter lines'. The tissues are hinged forward and the excess fat removed or re-positioned. The skin is then lifted upwards and any overlapping excess removed. Stitches are used to close the wound. 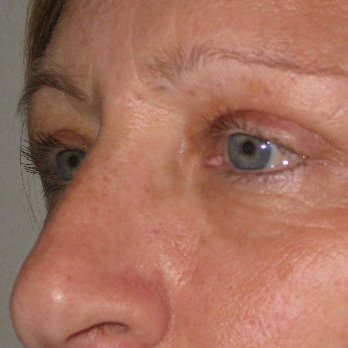 For most patients recovery from Blepharoplasty is straightforward. The most important thing to remember is that the eyes should not be rubbed during the recovery period. You will need to sleep upright for the first few nights, using pillows to prop you up and it is important not to bend over or carry out vigorous activities otherwise post-operative bleeding could occur. Antibiotic eye ointment is sometimes prescribed and make-up should not be worn for the first couple of weeks. Discomfort around the eyelids can be controlled by mild analgesics which Mr Chana can prescribe. Aspirin or aspirin-like medication (non-steroidal, anti-inflammatory tablets) must not be taken. The eyelids will be swollen for much of the first week and bruising can last up to two weeks. Scars will appear pink for some weeks and those in the ‘Crow’s Feet’ area may become lumpy for a period, but these invariably flatten over time. Stitches are removed between 3 to 5 days after your operation. Following surgery, you may not be able to wear contact lenses for some time, therefore it is recommended that you have prescription glasses to hand. Complications with Blepharoplasty are rare and damage to the nerves of the eyelid, or the eye itself, are extremely rare. If an infection should develop, it can be easily treated with antibiotics. Should excess bleeding occur, you might require additional surgery. Occasionally what appears to be a transparent sack of fluid develops in the outer corner and covers part of the eye. This is called a Chemosis. Although it can look quite frightening, you shouldn't be alarmed as it will gradually settle down with time. If it should go on for more than a couple of weeks, Mr Chana will prescribe steroid eye drops. 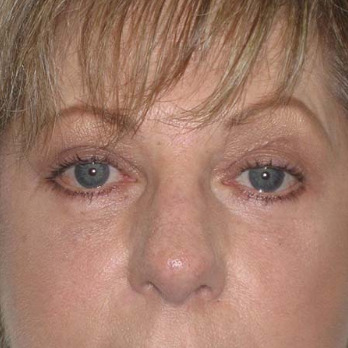 One of the risks of lower eyelid surgery is eyelid malposition. It is quite rare, but if you are at risk of this occurring it can usually be assessed at your consultation and measures taken during surgery to provide extra support to the lower eyelid. If malposition persists, you may require a secondary tightening of the eyelid skin at a later date, normally about six months later. Mr Chana will answer any questions you may have on Blepharoplasty. He will also provide you with a comprehensive information leaflet following your consultation. How do I choose an eyelid surgeon? Firstly, your surgeon must be an accredited Plastic Surgeon and a member of the British Association of Aesthetic Plastic Surgeons and secondly, they need to be widely experienced in eyelid surgery. To be fully informed about which procedure will best suit your condition, you need to consult with a plastic surgeon who has as much experience as possible. Experience in facial cosmetic and reconstructive surgery is also an advantage, as in many situations eyelid surgery is performed along with other facial procedures such as a brow or facelift surgery. 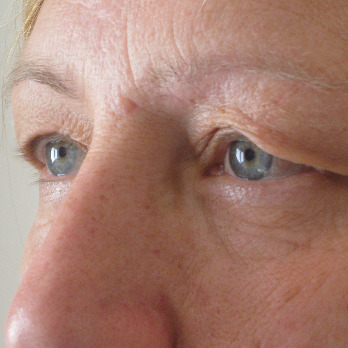 Fat transfer and laser procedures can also complement eyelid surgery. 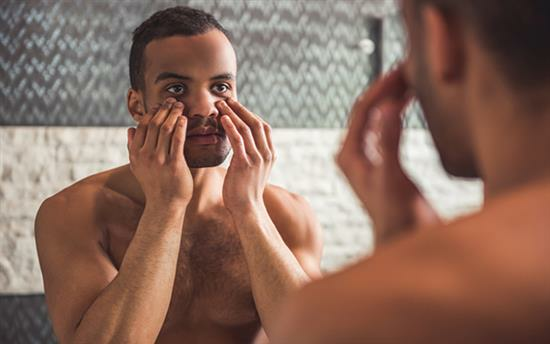 If you are concerned about having a tired-looking appearance, droopy and loose skin, puffy bags and dark circles around your eyes, surgery can help improve these issues. Eyelid surgery is one of the most commonly requested cosmetic procedures by both women and men and in most cases, provides an effective rejuvenative effect. It brightens the face and can make you look more alert and less tired. It can help make you look younger and allow better application of facial make up. Eyelid surgery can correct loose skin, puffy bags and excess skin folds. However, depending on age, a minor degree of skin laxity may persist after surgery since overcorrection of the skin may result in an unnatural appearance. Fine crease lines cannot be fully removed either. Above all, emphasis should be placed on achieving a natural and rejuvenated appearance. Am I too young for eyelid surgery? 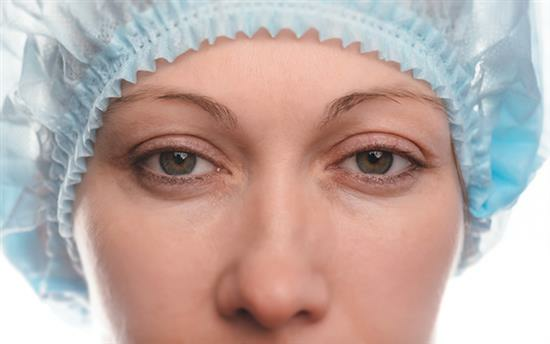 Eyelid surgery can be performed from the mid 30 years and onwards. In very rare situations it may be performed earlier. For example, if an individual has prominent fat bags on the lower eyelid which is hereditary this may be a case for early surgery. Otherwise most surgery for ageing loose skin is performed in later years. Eyelid surgery does not cause much pain. Any minor discomfort is usually very easily controlled with mild painkillers. 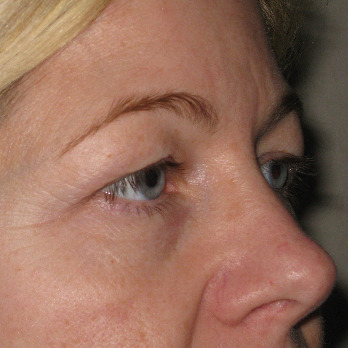 Can eyelid surgery be performed at the same time as other facial procedures? Yes. 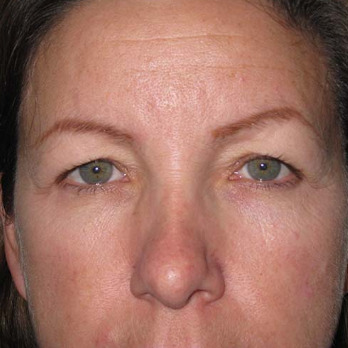 It is very common to combine eyelid surgery with procedures such as a brow lift or facelift. They complement each other and will enhance the overall rejuvenating effect of facial surgery. With age my eyelids had got very droopy. I wanted to have the excess skin removed but was a bit scared about the procedure. I had a consultation with Jag Chana in April 17 and he explained the procedure. I decided to have it done early June under general anaesthetic. I was a bit nervous on the day but all the staff at The Spire made me very comfortable and at ease. the op went very well. Only needed to take pain killers for the first day. I was given a very clear 'after care leaflet' which I followed. I was bruised and a little tender, this faded after 2wks. Its now 7 weeks since surgery and I'm delighted with the results - no more heavy feeling in my eyes and I'm so pleased with the appearance, I've had lovely compliments even though I haven't told anyone what I've had done! I first met with Mr Chana 5 years ago. I had hated my eyes for some time (droopy lids and lower bags), They made me look sad, tired and old. He explained what was possible and I was excited and ready to go.....but then I got cold feet and didn't go through with the surgery. Finally, 5 years later I met with Mr Chana again and had the surgery done on the 27th March. What a difference, I can't speak highly enough about Mr Chana and his team. The surgery went without a hitch, the after care was exceptional and the results are beyond my expectations.